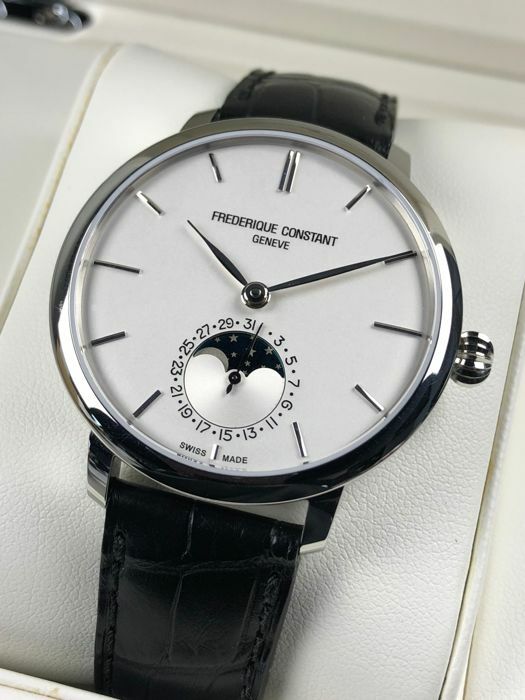 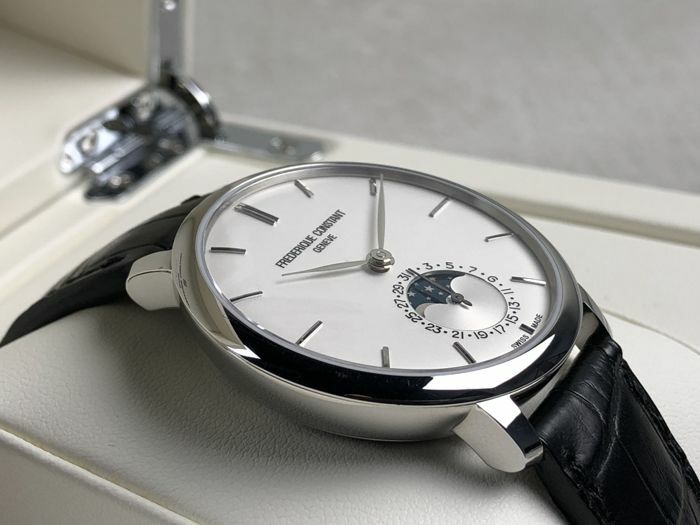 Frédérique Constant - Slimline Manufacture Classic Moonphase Automatic - FC-703S3S6 - men's - 2011–present. 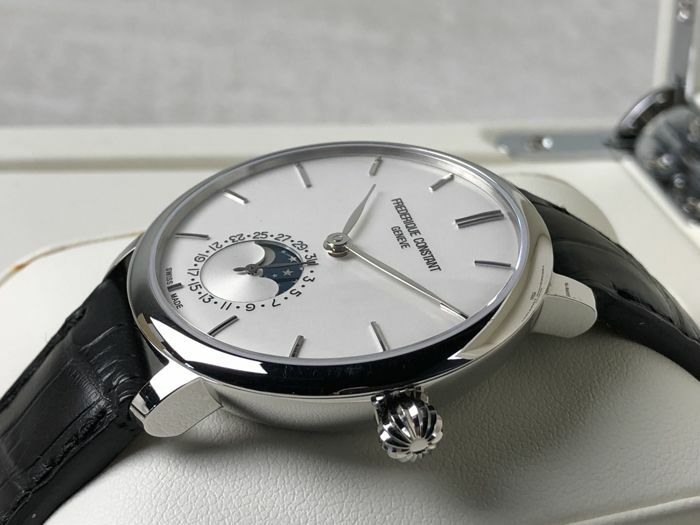 Dial: silver with moon phase. 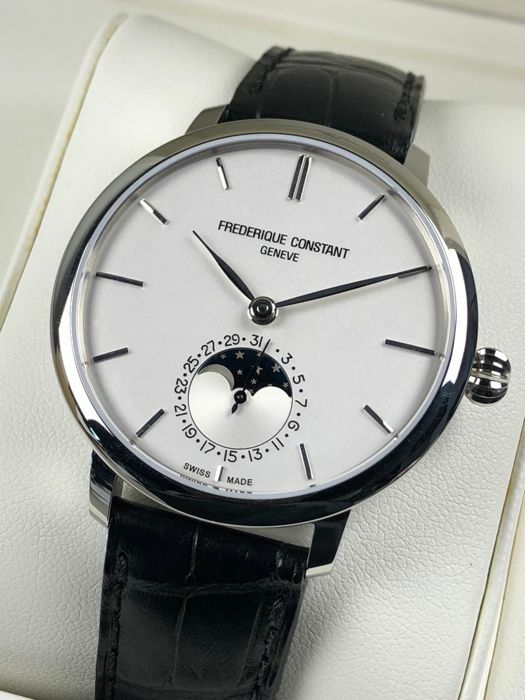 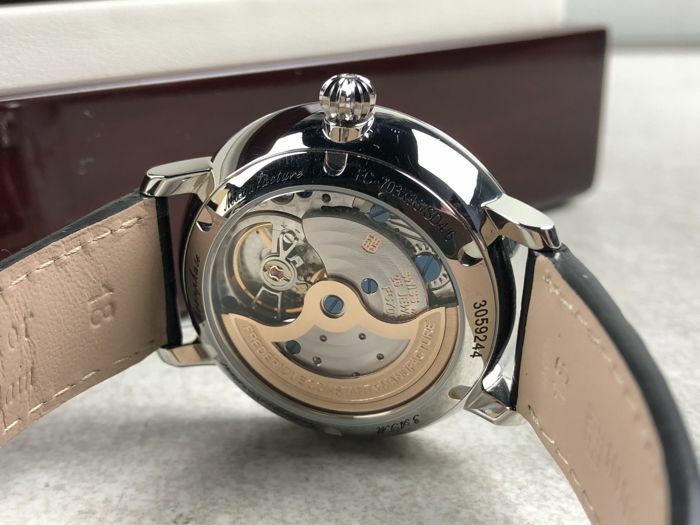 Movement: Swiss made automatic calibre FC-703 manufacture. 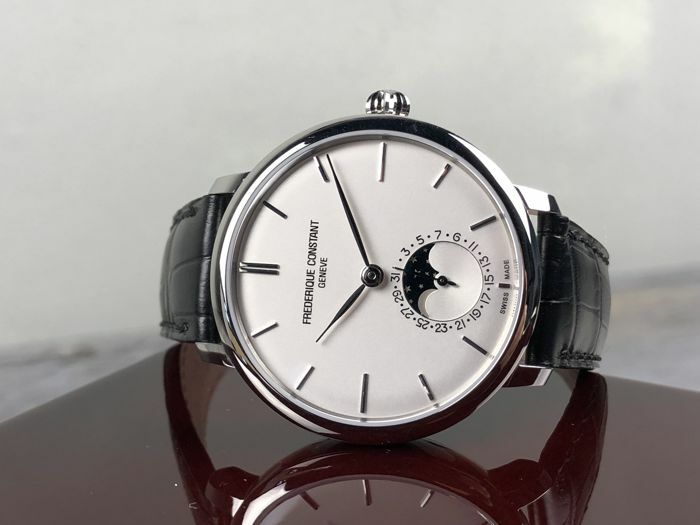 Diameter: 38.8 mm without crown. 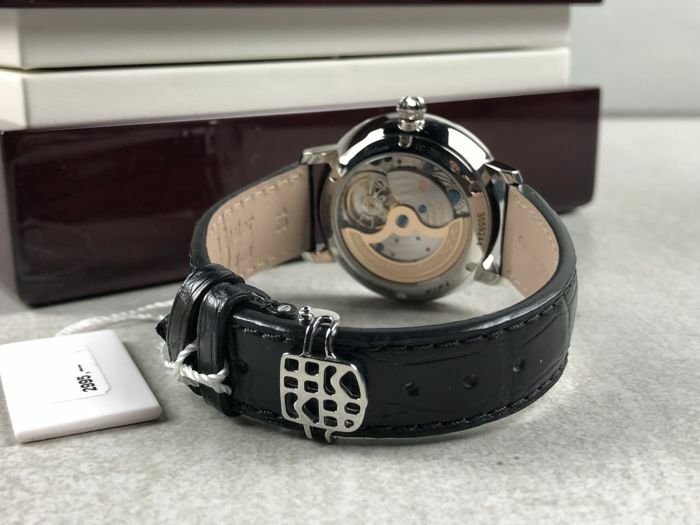 Strap: original crocodile leather strap with buckle (21 cm). 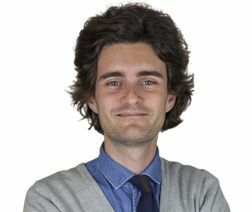 Condition: ex-display 9/10, top condition! 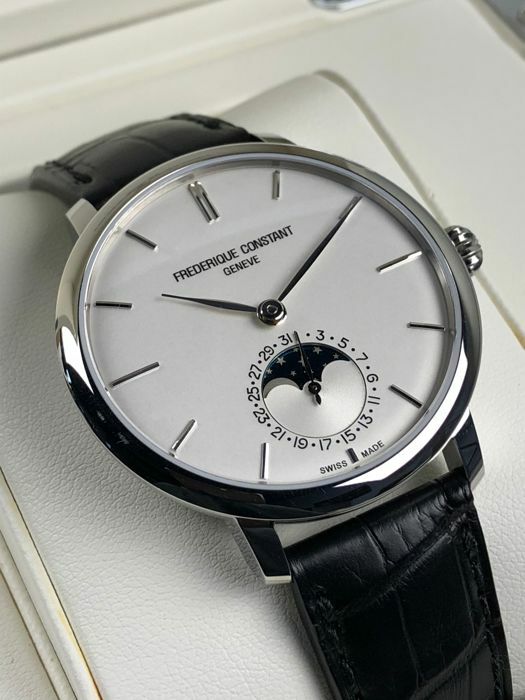 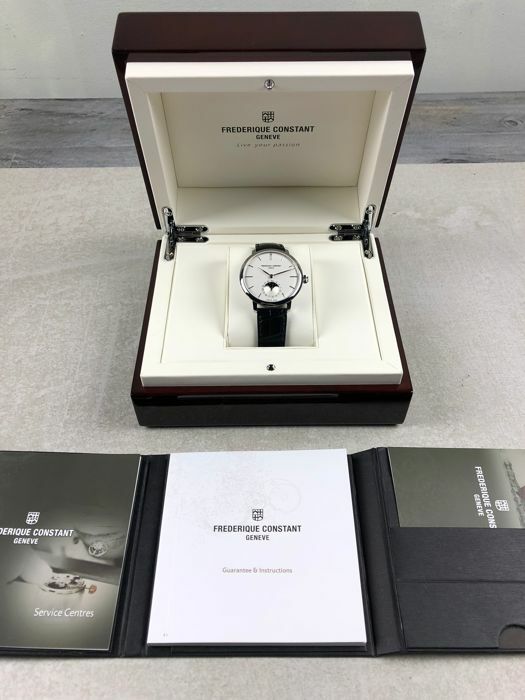 Comes in the original Frederique Constant box including corresponding papers (unsigned).